The International Committee of the Red Cross (ICRC) is a humanitarian institution based in Geneva, Switzerland. The ICRC is part of the International Red Cross and Red Crescent Movement along with the International Federation of Red Cross and Red Crescent Societies (IFRC) and 190 National Societies. It is the oldest and most honoured organization within the Movement and one of the most widely recognized organizations in the world, having won three Nobel Peace Prizes in 1917, 1944, and 1963. 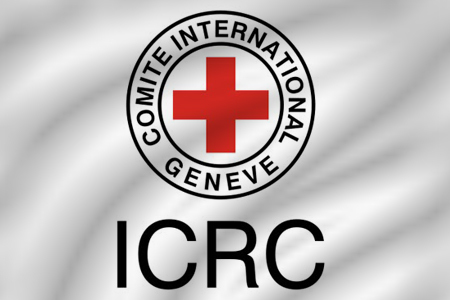 ICRC operations are generally based on International Humanitarian Law (IHL), the four Geneva Conventions of 1949, their two Additional Protocols of 1977 and Additional Protocol III of 2005, the Statutes of the International Red Cross and Red Crescent Movement, and the resolutions of the International Conferences of the Red Cross and Red Crescent. International Humanitarian Law (IHL), Treaties and Customary Law International Humanitarian Law is a set of rules that come into effect in armed conflicts. It aims to minimize the harms of an armed conflict by imposing obligations and duties to those who participate in armed conflicts. IHL mainly deals with two parts, the protection of persons who are not, or no longer taking part in fighting and restrictions on the means and methods of warfare such as weapons and tactics. IHL is founded upon Geneva conventions which were first signed in 1864 by 16 countries. Traditions and Customs had governed the conduct of war until then, which varied depending on the location and time. The First Geneva Convention of 1949 covers the protection for the wounded and sick of armed conflict on land. The Second Geneva Convention asks for the protection and care for the wounded, sick and shipwrecked of armed conflict at sea. The Third Geneva Convention emphasizes the treatment of prisoners of war. The Fourth Geneva Convention concerns the protection of civilians in time of war. In addition, there are many more body of Customary International Laws (CIL) that come into effect when necessary.